Such sweeties, I love it. P.S. Fourth grade was my favorite year for Zoe. They look so cute in their uniforms! I love the white socks and mary janes. They look so cute. I think Quinn is throwing gang symbols in some of these shots. Hope their first day at school was Awesome! Oh yeah, hella cute in those uniforms! Are they in the same class? One of mine starts next Friday, and the other the following Monday. Eeek. So cute. You'll be amazed how how much they change over the next few years. 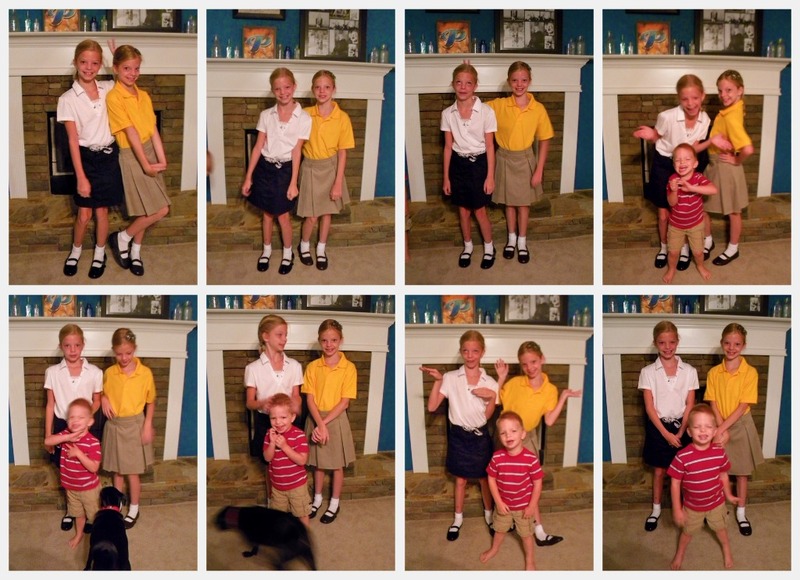 It's fun to go back and look at all the "First Day of School Photos" and see how they morph.